Illesteva "Leonard II" round sunglasses. Stud detail at temples and frame front. For in-store inquiries, use sku #1718384. 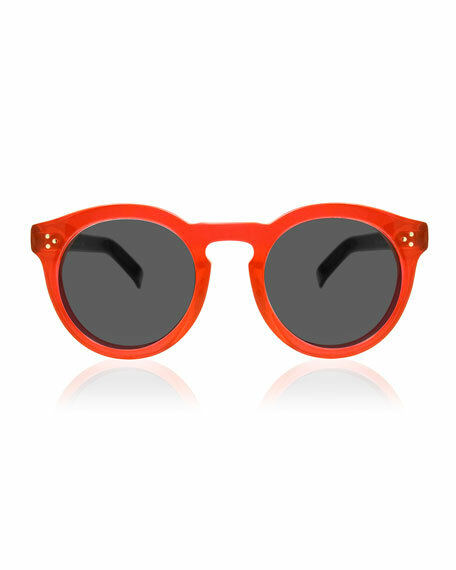 CALVIN KLEIN 205W39NYC flattop sunglasses in acetate. Lens/bridge/temple (in mm): 52-18-140. Monochromatic, teardrop lenses; logo script. Contrast metal nose bridge. Can be fitted with prescription lenses. 100% UVA/UVB protection. Made in Italy. Illesteva "Leonard" slim fit sunglasses in acetate. Lens/bridge/temple (in mm): 48-22-139. Mirrored lenses. Logo detail at front temples. Keyhole nose bridge. Can be fitted with prescription lenses. 100% UVA/UVB protection. Made in Italy. 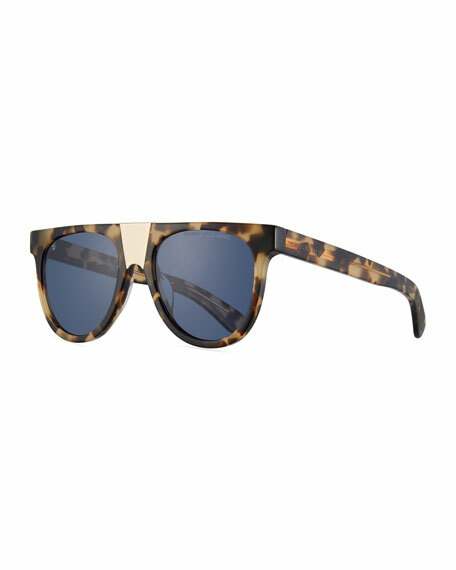 Illesteva rectangle sunglasses in acetate. Lens/bridge/temple (in mm): 61-16-145. Mirrored lenses cover frame front. Logo detail at frame front. Keyhole nose bridge. 100% UVA/UVB protection. Made in Italy.